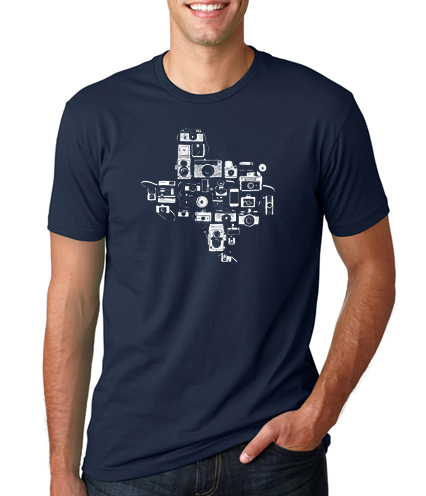 I Love Texas Photo » New Shirts, Totes and Posters in Stock Now! 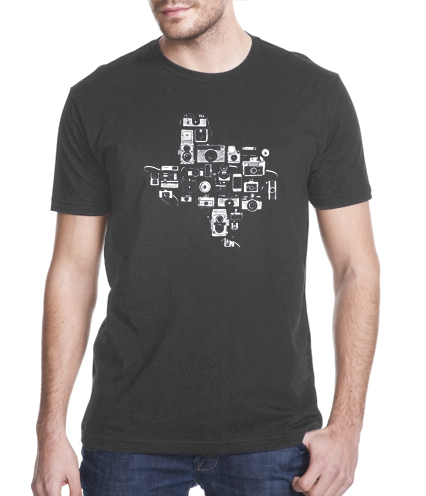 We’re thrilled to share our latest t-shirt and poster design, celebrating Texas photography with a custom illustration of cameras past and present. 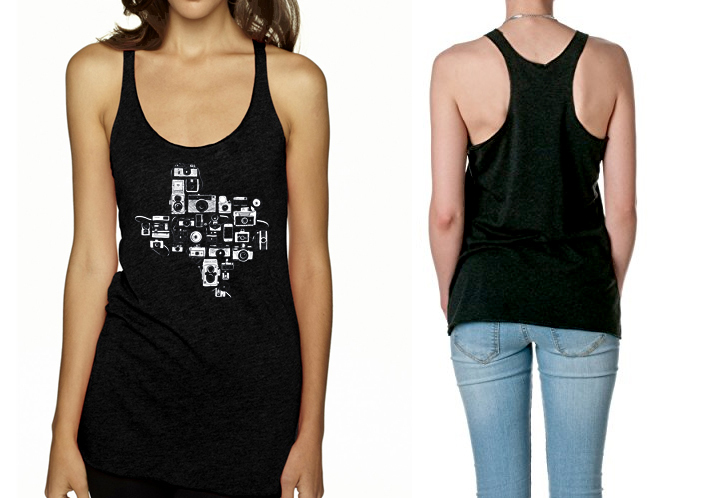 Available in women’s tank tops and v-necks, men’s crew necks and posters. Also coming soon, tote bags! 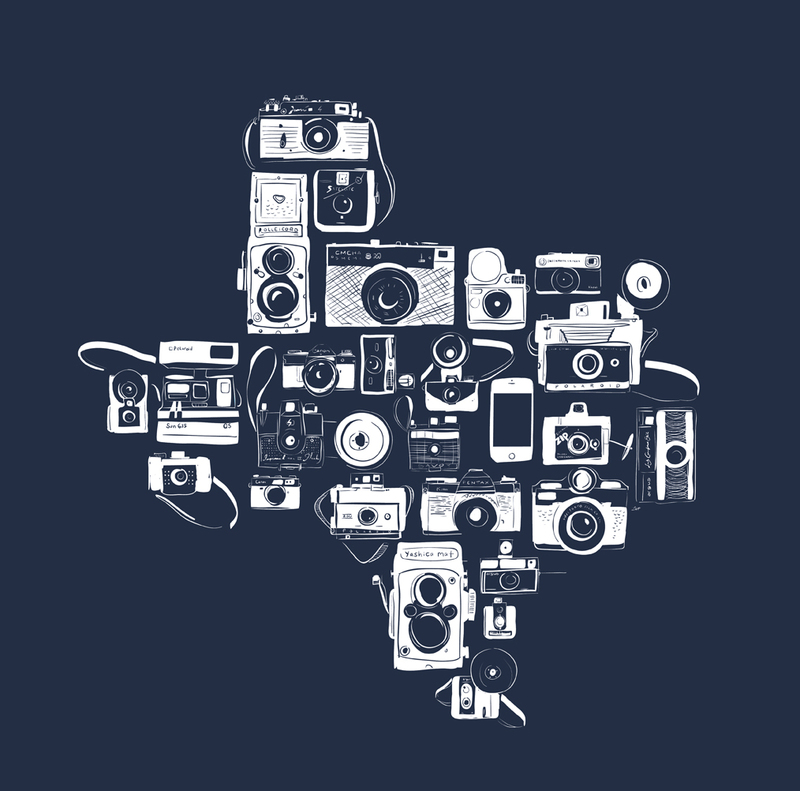 They make a great gift for the photography lover in your life (or for yourself)! Looking for mugs? 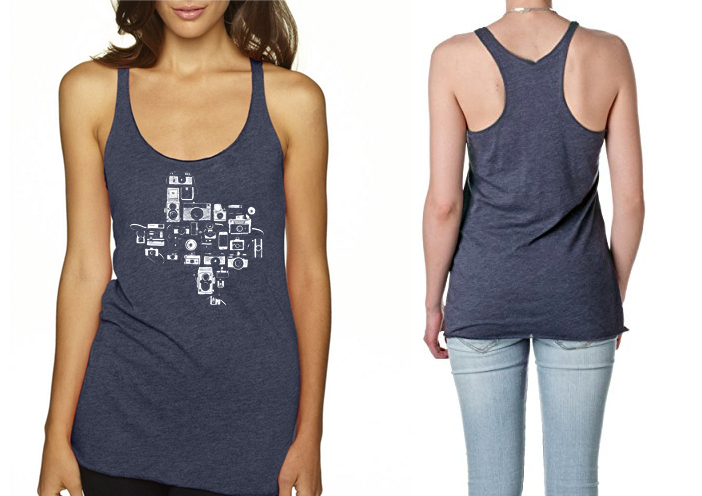 Visit our Zazzle store!